Specifically designed for students and staff who want to exercise, keep fit and play sport for fun in an environment free from competition, expectation and commitment. Whether you’re returning to the game or have never played before, our well organised, well-structured sessions cater for all abilities. Our sessions are open to all Loughborough University students and staff (including campus partners), no membership fees and no commitment. Whether you’re returning to the game or have never played before, our well organised, well-structured sessions cater for all abilities. We run FREE recreational sport activities all year round providing you with the chance to play and try different sports and physical activity sessions. 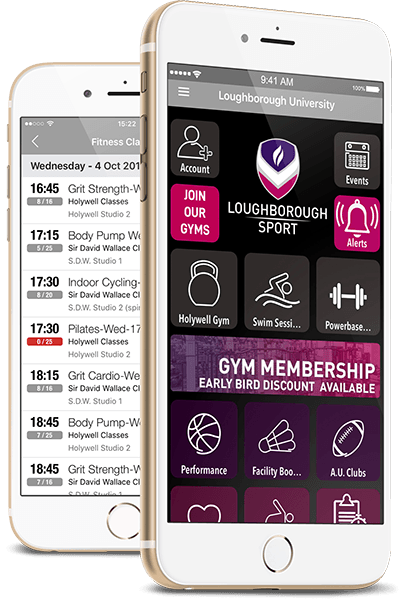 You will need to book onto some of the sessions online or via the Loughborough Sport App, please check the timetable below and book onto all of the PINK sessions. PLEASE NOTE: If you can no longer attend the session, please ensure you cancel your space to allow someone else to book on. By booking on and not turning up, you are preventing others from attending the session. All you need to wear is some comfortable sports clothing and trainers. Equipment is provided, or if you have your own, feel free to bring it along. Yes! My Activities sessions are DSN (Disability Support Network) friendly! Just let the activator know who leads the session if you require adjustments and they will accommodate wherever possible. Alteratively, you can ask any questions or queries you have prior to attending sessions via email or telephone 01509 226150. You can also Join the DSN Facebook group to find other disabled students attending these sessions. My Lifestyle also offers Inclusive Sport Events throughout the year. Keep up-to-date on the events section of the Loughborough Sport website to find out about future events. Learn a new sport over the course of a few weeks with a specialised instructor. A series of recreational sport events that run throughout the year.